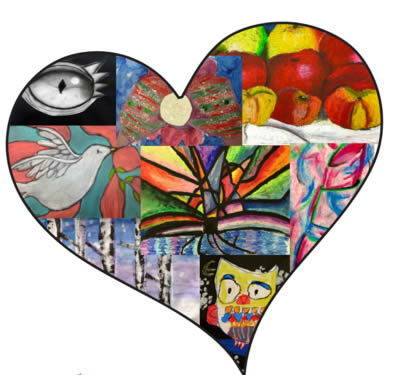 This exciting exhibit showcases work from students at all 7 elementary school in West Chicago, and includes the artwork of students from Kindergarten through 8th grade. The students use art to learn about cultures throughout the world. In addition, art classes provide an opportunity for all children to create original pieces and use their imaginations. This exhibit shows the amazing painting, drawing, and sculpture created by these young students.. Note: The opening reception will be on a Thursday AND the time is earlier to accommodate the students.